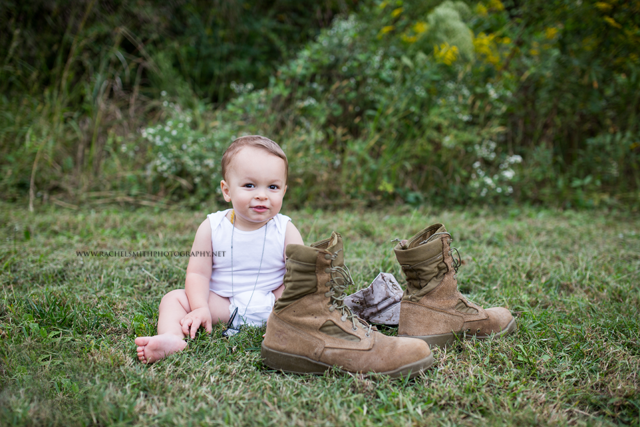 Welcome back Rachel Smith Photography if you miss her last amazing post you must click here: Daddy is Deployed Themed Shoot. 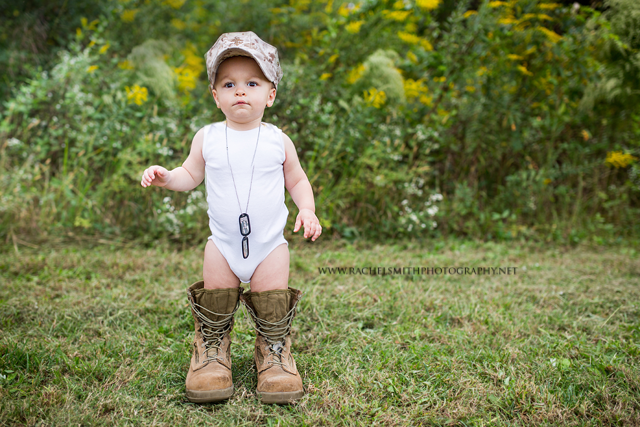 Rachel is a proud Marine wife and located in North Carolina. She is passionate about animal rescue and fosters doggies too. 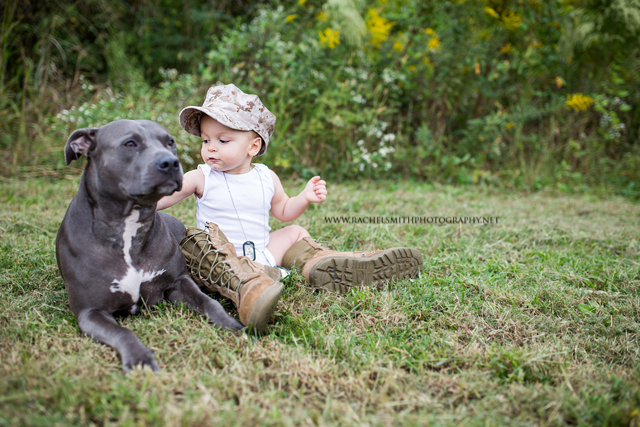 Here are some pictures of her adorable son that she took just because she wanted to take some pictures of him in his daddy's boots, hat, and dog tags plus with her cute pit bull. 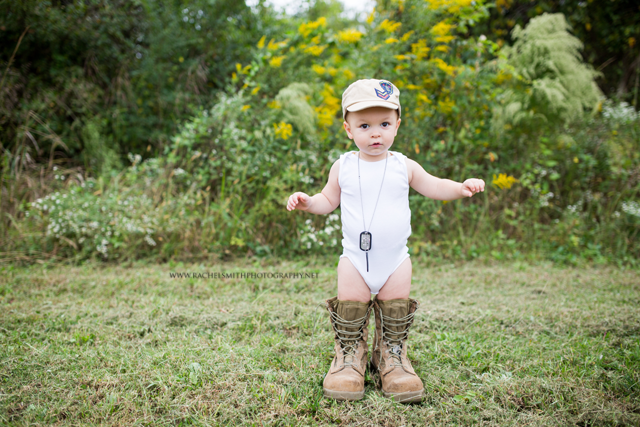 Sometimes a little impromptu photo session can be the best thing to settle missing your loved one who is deployed. Contact Rachel for your military photo session and keep checking back this week for all the other great photos Rachel has to share!